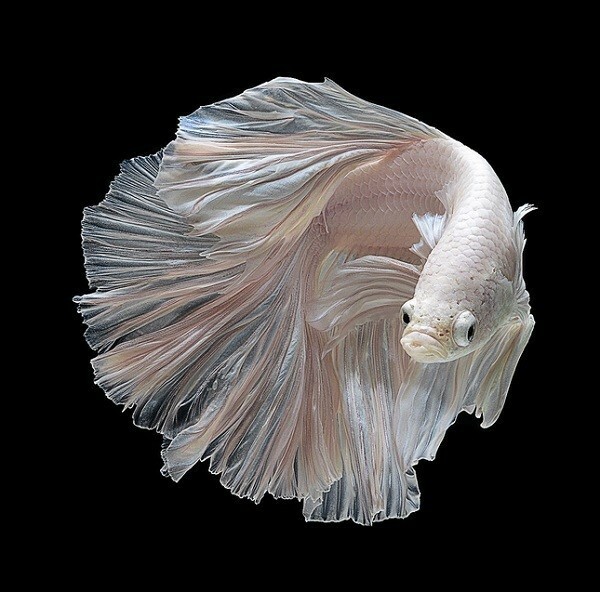 Sure, betta fish are pretty boring when they are left to swim alone in small, clear containers. 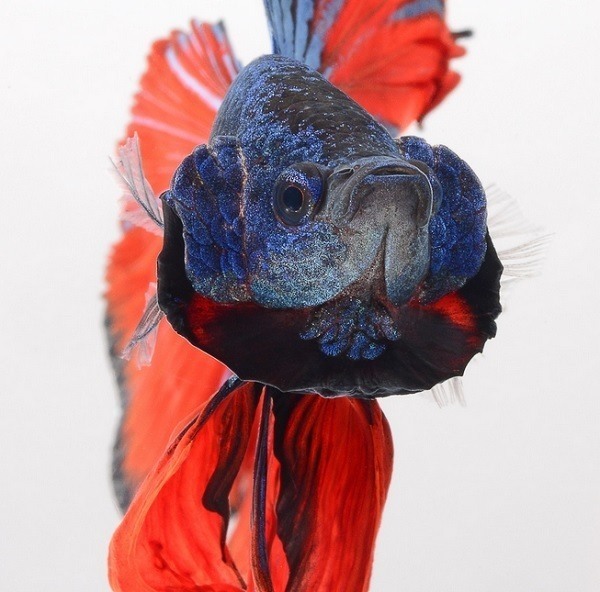 Yet when captured under the lens of photographer Visarute Angkatavanich, bettas are anything but basic. 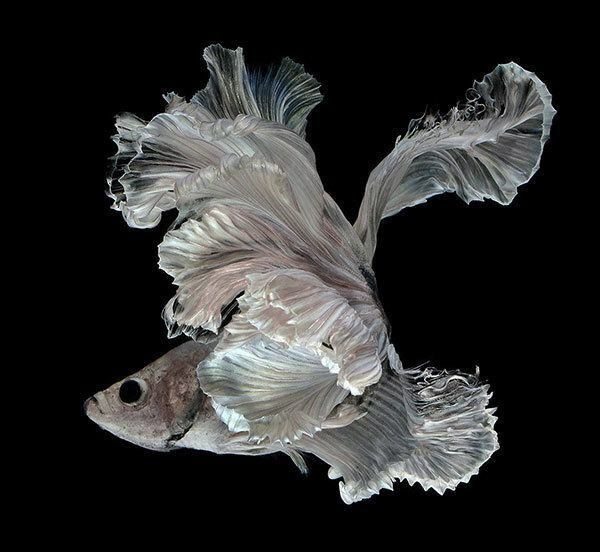 Angkatavanich’s betta fish photography went viral last year when sites like This Is Colossal shared his photographs of colorful fish contrasted against black and white backdrops. 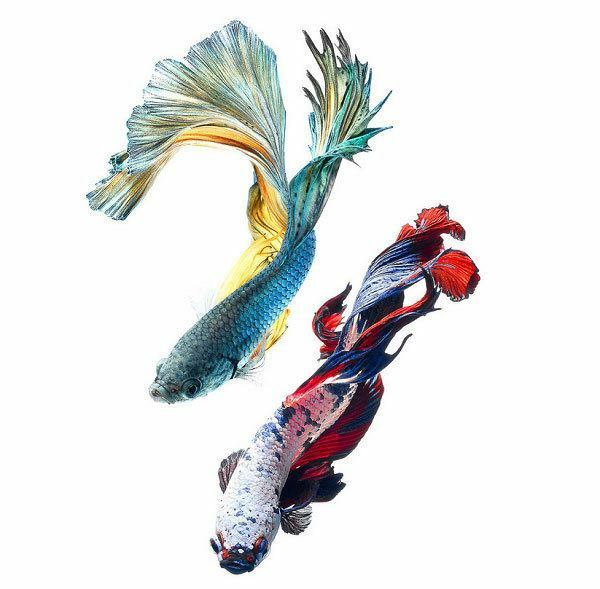 Bangkok-based Angkatavanich was first captivated by betta fish—also referred to as Siamese fighting fish—after participating in a fish show three years ago. In interviews he’s noted that he is most fascinated by the species’ ability to move in three dimensions, allowing him to shoot from unexpected angles and perspectives. 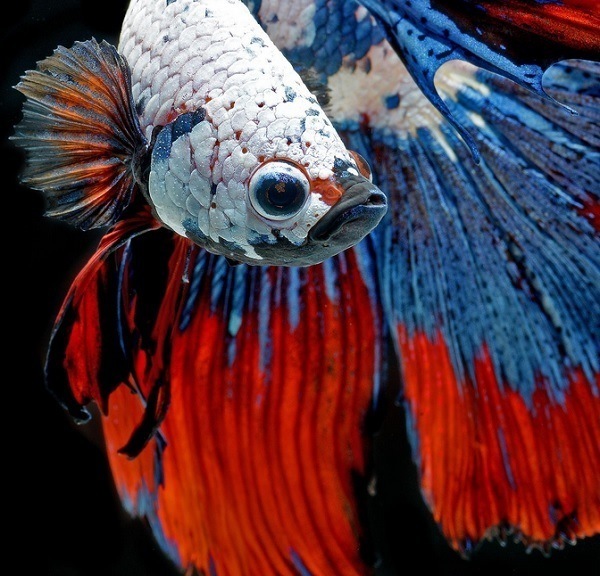 Unlike other fish, which can seem uniform and dull, betta fish come in a variety of patterns, shapes and colors, such as turquoise, pink, orange, green, yellow, blue and white. 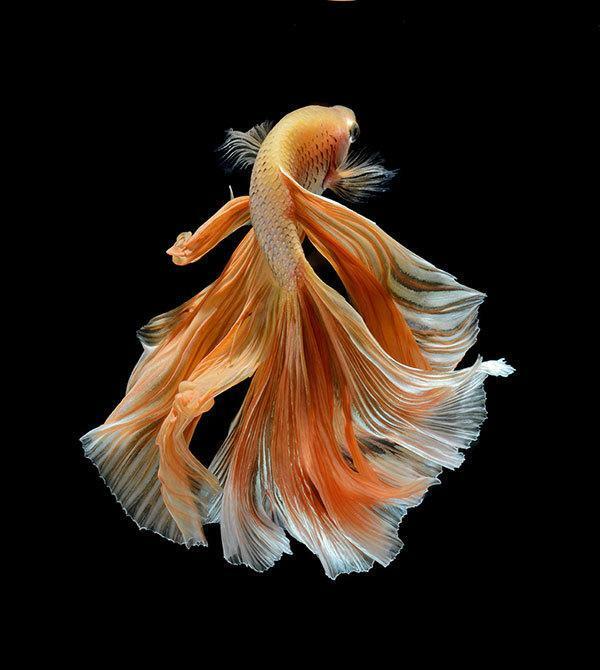 Angkatavanich’s betta fish photography documents these colors perfectly by pairing them with simple, uniform backgrounds. 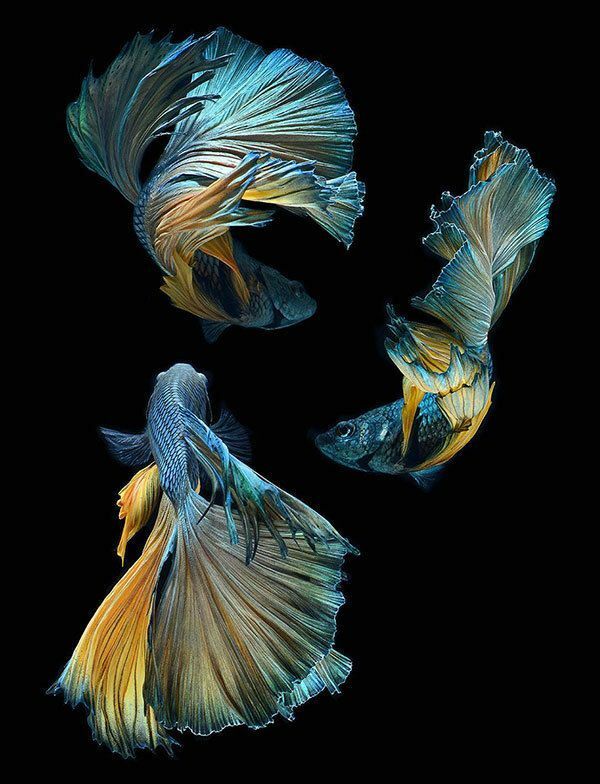 Betta fish are native to Thailand and other Asian countries, often found living in rice paddies and canals. 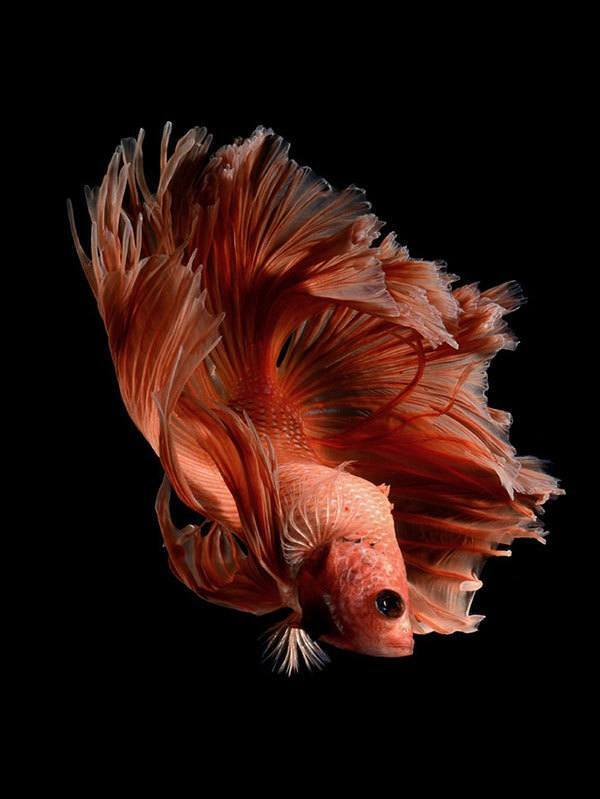 These resilient fish can survive for short periods of time out of water, and are relatively well-suited to aquarium life. 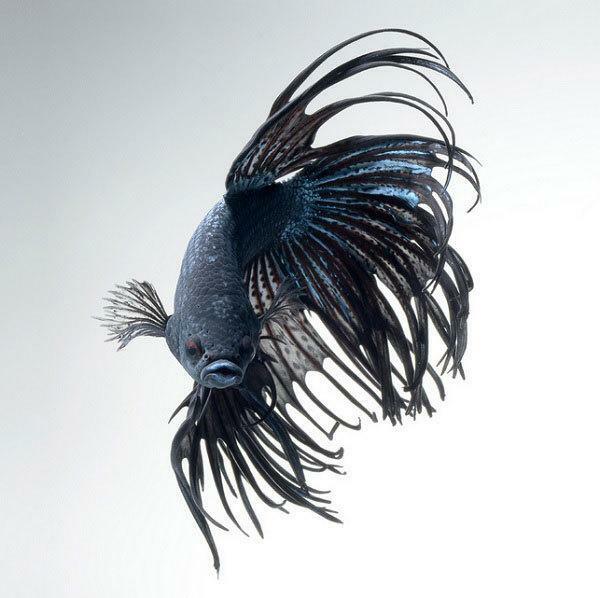 As the name “Siamese fighting fish” conveys, betta fish aren’t particularly good at making friends. 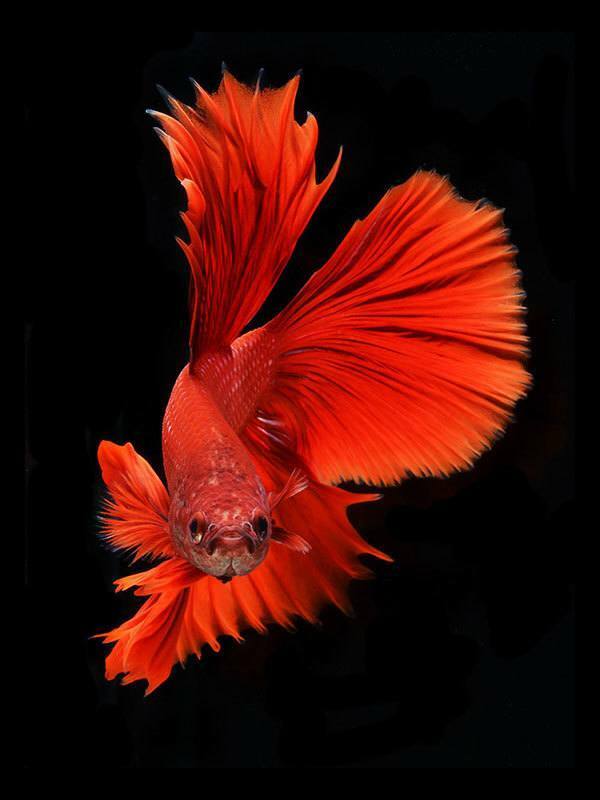 Instead, they are known to battle aggressively with other bettas, often fighting to the death for no apparent reason.